Intake Manifold Injection/ Carburettor. Petrol / Bus / Rear Wheel Drive. 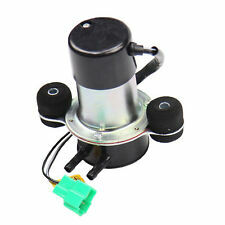 MIXTURE PREPARATION High Pressure Fuel Pump. Fuel Pump Assembly. Fuel Injectors. FUEL TYPE / BODY TYPE / DRIVE TYPE. SUZUKI 1510085501. SUZUKI CARRY Pickup 1.0 (DA21T) Pickup Petrol 07/1985 12/1990 RWD 8 45 33. Engine Code: F10A. SUZUKI SUPER CARRY Box (ED) 1.0 (SK410) Box Petrol 09/1987 07/1992 RWD 8 41 30. SUZUKI SUPER CARRY Box (ED) 1.0 (SK410) Box Petrol 04/1985 07/1992 RWD 8 45 33. 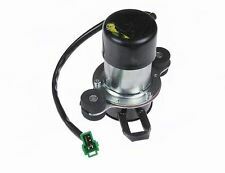 Blue Print Fuel Pump Vauxhall Rascal Suzuki Carry Super Opel ADK86806 - Free Delivery from Simply Car Parts - Brand New BluePrint part - 3 Years Manufacturers Warranty. SUZUKI SUPERCARRY (LHD) 1.0 P/Up,Van RWD 4/5 MTM F10A DA21 01/86>12/94. SUZUKI SUPERCARRY 1979-95 1.0 P/Up RWD 4/5 MTM F10A SK410K 01/86>12/94. SUZUKI SUPERCARRY 1979-95 1.0 Van RWD 4/5 MTM F10A SK410V 01/86>12/94. FOR SUZUKI SUPER CARRY. Vehicle compatibility. Part specifications. This is an original quality part manufactured by Blue Print. 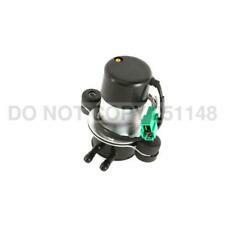 Fuel Pump fits SUZUKI SUPER CARRY Bus - 85>99 - ADK86806. Part Number : ADK86806. Wash & Wipe. Be aware that your Model of Vehicle may have a choice of 2 / 3 different Fuel Pump Options. Such variations can apply due to upgrade designs on later chassis numbers, or the manufacturers using different OEM suppliers during production process. Make sure that you're ordering the correct parts for your vehicle. What You See Is What You Get. Suzuki SUPER CARRY autobus (ED) 1.0 (SK410) 30KW 41HP 1994.09 - 1999.03. Suzuki SUPER CARRY autobus (ED) 1.0 (SK410) 31KW 42HP 1992.10 - 1999.03. Suzuki SUPER CARRY autobus (ED) 1.0 (SK410) 33KW 45HP 1985.10 - 1999.03. VEHICLE SUITABILITY # SUZUKI SUPER CARRY 1.0L SOHC Carb 4cyl 4sp Man Van RWD [07/85 - 01/90]. SUZUKI SUPER CARRY 1.0L SOHC Carb 4cyl 5sp Man Van RWD [07/85 - 01/89]. NECESSARY INFORMATION : Dont forget to provide us the the vehicle infomation, if you need assistance in buying the part. 07/85 - 12/91 SUZUKI CARRY DA21V 1.0L F10A SOHC 8v Carb. 4cyl Auto Van RWD. 4cyl Man Van RWD. 07/81 - 10/84 SUZUKI SIERRA V 1.0L F10A SOHC 8v Carb. 4cyl Man 2D Hard Top 4WD. 4cyl Man 2D Soft Top 4WD. 03/96 - 01/99 SUZUKI ALTO SH410 1.0L G10B SOHC 8v Carb. 4cyl Man 5D Hatchback FWD Use with FPM-080. 10/79 - 07/85 SUZUKI CARRY ST90. 8L F8A SOHC Carb. 4cyl Man Van RWD Use with FPM-084. 01/87 - 12/89 SUZUKI ALTO CA71V. 5L F5A OHV 6v Carb. Manufacturer Part Number ADK86806. Technical Data. Use engines info and vehicle YMM compatibility chart for general guide. Strictly important to provide VIN along with your detailed request since there can be different options for your car specific tech characteristics. FuelGasoline / Petrol. Ext Color No26U. Engine ModelR06A. FuelGasoline / Petrol. Ext Color No26U. Engine ModelK6A. Ext Color No. Type Classification No605. Engine ModelK6A. Ext Color No26U. Engine ModelR06A.